← Come join OASIS Saturday June 30 for Planetary Defense & Asteroid Exploration Mini-Conference 2018, followed by a happy hour! 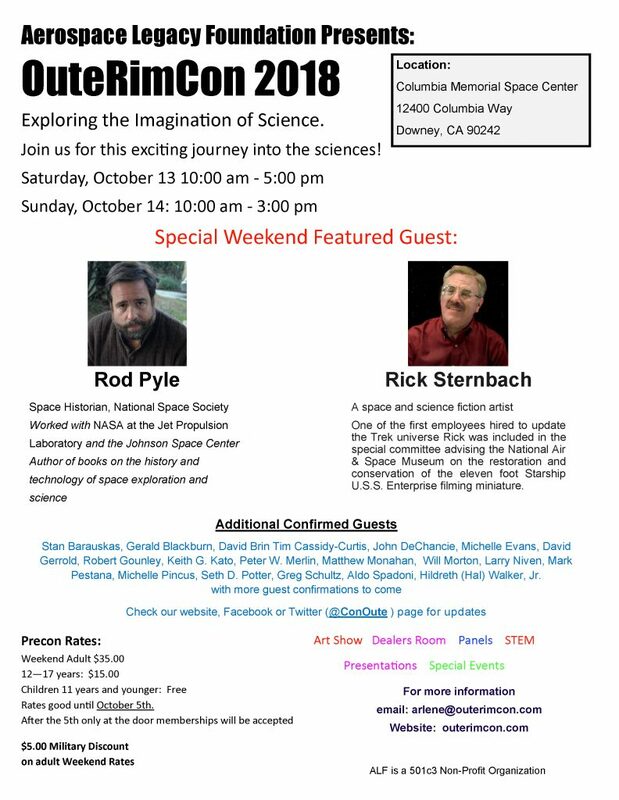 Come join us at OuteRimCon, where science meets science fiction! October 13-14, 2018. Exploring the Imagination of Science! Visit https://outerimcon.com/guest-speakers for our list of guest speakers! After October 5th payments will only be accepted at the door. We hope you will join us at this fun and educational convention! This entry was posted in OASIS. Bookmark the permalink. Welcome to OASIS, the Greater Los Angeles Chapter of the National Space Society. The Organization for the Advancement of Space Industrialization and Settlement is one of the oldest and largest chapters of the NSS. Space on the Streets Flickr Photopool!